Rise and Fall Heaven » Forums » Imhoteps Blueprints (Scenario Design) » Beta unit hunting. bagged a few...sort of. Topic Subject: Beta unit hunting. bagged a few...sort of. In the predecessor to Raf, EDMW, I was able to create beta units(objects that are in the editor, but not accessible, because they were abandoned in the final version. 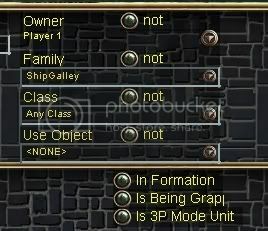 Or not removed from the previous game), simply by creating objects from "family" group, instead of "class" group. I tried this when I first got the game, but it didn't seem to work then. I have no idea why it works now. -Produces food, but is worth 50 wood. I'm assuming that would provide a perfect high fiber diet. Also this building makes the cursor turn into a "sickle" when moused over. The food cursor was obviously abandoned too. And finally another slightly interesting beta unit is when creating GalleyShip family, a ship called: "Fireship" is created. It has no oarsmen, and can't create units, but it fires flames just like a fire raiser. Wow... You are simply incredible, _o0XxX0o_. I think the coolest is the sheep . The fireship would be pretty awesome though. Are you able to put those in a scenario? I quite like the idea of a fireship actually. 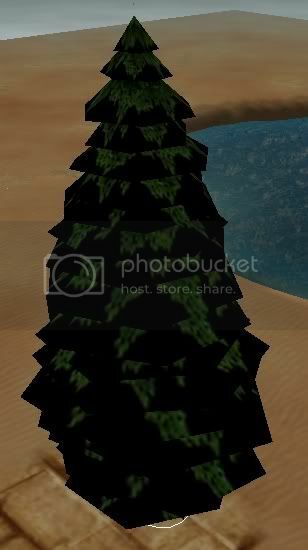 Is there a way to place these units in a map with the editor? can units go on board? This is truely amazing Ox! I guess SSSI was actually going to include these units into the game. But they were too late and they got shut down, and Midway can't be bothered to put them in the game. And nice to see it goes on the main page too. This is the best signature ever! How did ya manage to find these objects?? 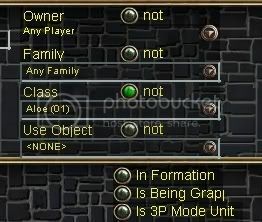 "Class" "Not" aloe(1) or any object that is not a potential object that can be used, will remove any object that is a beta unit or other not recognized unit, even a sirocco. Yes, but how depends on weather your putting them in a SP or MP scenario. For a multiplayer scenario make triggers to create/remove objects so they can be cycled quickly, then save scenario in test mode. Then rename the saved game file extension to .scn, and put that file back into scenario folder. But before starting the editor test, make sure that all other players, including outpost players, have AI active unchecked. Otherwise the ai will initiate and it will become an invalid file to play online. SP don't worry about it. Open the scenario with the beta unit, remove the create triggers, then move the object where You want it. If you need more than 1 of those beta units copy/place the objects by holding down the alt+shift keys, and select that object and then double click. This copies object for placement. _o0XxX0o_, can u post a pic of it?